Photo copyright Samrat Mondal. Used under CC licence. The Union Cabinet today approved the declaration of Chaudhary Charan Singh Airport, Lucknow, Lal Bahadur Shastri Airport, Varanasi and airports at Tiruchirapalli, Mangalore and Coimbatore as international airports. The Indian ministry of civil aviation says, all these airports are capable of handling medium capacity long range type of aircrafts and are also equipped with facilities for night operations. These airports have been recently upgraded to international standards. The release goes on to provide details of the airports, and while are happy for the information, and congratulate these airports and the ministry, we cannot but help notice the glaring contradictions. Lal Bahadur Shastri Airport, Varanasi: The airport has a runway suitable for operation of AB-320 type of aircraft in all weather conditions. The existing apron is suitable for parking 5 B767 and 4 AB-321 type of aircrafts. Presently, Air India, Jet Airways, Jetlite, SpiceJet and Kingfisher airlines are operating domestic services through this airport. Air India, Thai Airways and Cosmic Air are operating International flights through this airport. Tiruchirapalli: The airport is suitable for operation of AB-320 / B-737-800 type of aircraft in all weather conditions. Night operations are permitted. Domestic and international flights are operating and the destinations covered are: Abu Dhabi, Chennai, Colombo, Dubai, Kuala Lampur, Mumbai and Singapore. Airlines operators – Air India Express, Air Asia, Kingfisher, Mihin Lanka, Sri Lankan and Tiger Airways. The airport is equipped with navigational aids and visual aids. Mangalore Bajpe Airport: It is suitable for AB-310 and B737-400 type of aircraft operations in all weather conditions. Night operations are permitted and domestic and international flights are operating and the destinations covered are: Dubai, Doha, Muscat, Kuwait, Calicut, Bangalore, Hyderabad, Chennai and Mumbai. Airlines operating are :- Air India, Kingfisher, SpiceJet, Jet Airways and Air India Express. The runway is provided with instrument landing system (ILS). 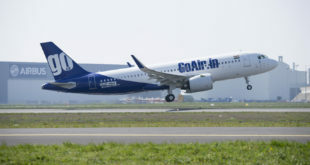 Coimbatore: Coimbatore is presently handling limited international operations. The Airport is suitable for all weather operation of B-767-400 type of aircraft. Night landing operations are permitted at the airport. Destinations covered are: Bangalore, Chennai, Calicut, Delhi, Hyderabad, Mumbai, Sharjah and Singapore. 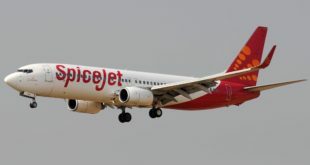 Airline operators are : Air India, Air Arabia, IndiGo, Jet Airways, Jetlite, Kingfisher, Silk Air and Spice Jet. The airport is equipped with navigational and visual aids including CAT-l Instrument Landing System (ILS). Previous Survey: The Kingfisher Airlines drama continues. Is the airline ready for euthanasia?